Although I love classic homemade tomato soup, sometimes it is fun to switch things up and add new ingredients. For this tomato fennel soup recipe, I added some chopped fennel cooked in garlic, onion and olive oil. The fennel gives the tomato soup a subtle refreshing flavor. Using many different vegetables in soups makes them healthier, too! Garnish with fennel leaves and serve with a crusty baguette. Add the onion, fennel and garlic and cook 10 minutes, stirring occasionally. Add the tomatoes, chicken broth, salt and pepper. 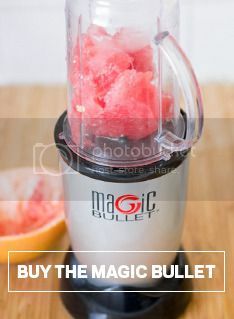 Allow the soup to cool to room temperature, then blend in a Magic Bullet pitcher.